7 Steps To Unshakeable Confidence And Belief To Live Life On Your Terms! We all want to perform at our best in our personal lives, with our families, socially, in work and in our business. In order for this to happen, we must believe in ourselves and truly be confident in our abilities, decision making and actions in order to fulfil and protect the lives we really want to live! Then the I.A.M.S.U.R.E. Confidence Builder Online Programme is just for you! DOORS CLOSE MIDNIGHT SUN 25th FEB, UNTIL THE AUTUMN. January has been and gone, your New Year’s resolutions a distant ideal, shelved once again for another year. Despite your high hopes and good intentions for 2018 to be positively different to last year – you’ve quickly fallen back into the same old routine of struggling to juggle all your roles, responsibilities and life as a busy mum and mum in business. You keep putting yourself on the back burner. No matter how you’ve tried you can’t seem to establish and maintain a routine that allows you to take time out to do the things you love. You’re run down, exhausted and frustrated. You’re so busy worrying about making sure everyone and everything else is ok, there’s never any time left for you. You know you should make time for yourself but how can you when there’s always so much else to do and no one else seems to want to help. You wish you could speak up more, tell your partner how you really feel. You’d like more support, you’d wish they’d stop making you feel so guilty about working hard or the housework and just give you a break. As for family and friends, as much as you know they mean well, you really wish you could tell them that the routine you have for your children works just fine for you. Instead you find yourself nodding and smiling as they deliver their well-meaning advice while feeling angry at yourself for not saying anything. You feel like a pushover. You’re not sure you know who you are or what you want anymore. You’ve hit rock bottom but you do a good job of hiding it, so no one knows just how bad you feel. You feel so alone. Everyone else seems to be getting on with life while you feel so stuck not really moving forward as you just don’t know where to begin. You’re stressed, overwhelmed anxious and feeling guilty about everything. You love your family more than anything but can’t help feeling a little resentful about how much time caring for them takes away from your sense of self. You find the occasional fleeting thought of ‘is this it… is this really all there is to my life?’ creep in. You really wish there was a way to feel in control of your life and remember what it feels like to have some fun, enjoy doing something for you and to feel truly fulfilled and happy again. How would life change for you if you were operating from a place of confidence rather than worry, self-doubt and fear? How would it feel to be able to say ‘no’ and not feel guilty for protecting what’s right for you and your family? No more breaking promises to your children, rushing through traffic, arriving late for childcare pick-ups. No more being wracked by guilt, and feeling like the worst mum in the world. How would it feel to be confident in your worth? Valuing your time like the precious resource it is, putting yourself higher on your own list of priorities. No longer worrying what other’s may think of you and your choices. No longer undercharging for your business services or feeling uncomfortable confronting late paying clients because you believe you’re lucky they’ve chosen to work with you. What would that do for you? How would your relationship improve with your partner or your children and most importantly yourself if you had the confidence to make decisions based on what you really want – rather than pleasing everyone else? It is totally possible to make these real and lasting changes in your life in as little as a week if you are willing to make the decision to trust in you and your ability to change your situation. Let me tell you, I’ve been there. I know exactly how you feel! My personal journey to achieving real confidence came as a direct result of prioritising everyone else’s needs whilst neglecting my own, juggling a young baby, household and family life with the highly stressful demands of the corporate world. It left me with zero confidence and unable to stand up for myself, enduring neglect and mistreatment, consequently suffering burnout! Upon reflection, all culminating in gratefully leaving behind long hours, inflexibility, a troublesome commute and a career that had become incongruent with my core values of being the best mum I could and wanted to be. During my recovery I realised I wasn’t alone in my experience – many other mums were struggling to juggle their many roles and responsibilities too! As a result, I discovered my purpose and passion - Empowering Mums and Mumpreneurs was founded from the highs, lows and learns of my personal journey. Over the last nine years I have become a highly sought after transformational Confidence and Mindset Coach for mums and mumpreneurs. I have successfully worked with mums and mums in business to achieve greater confidence, balance and clarity, and to help them recognise self-care is paramount to being the mum they want to be and crucial to living an easier and happier life! 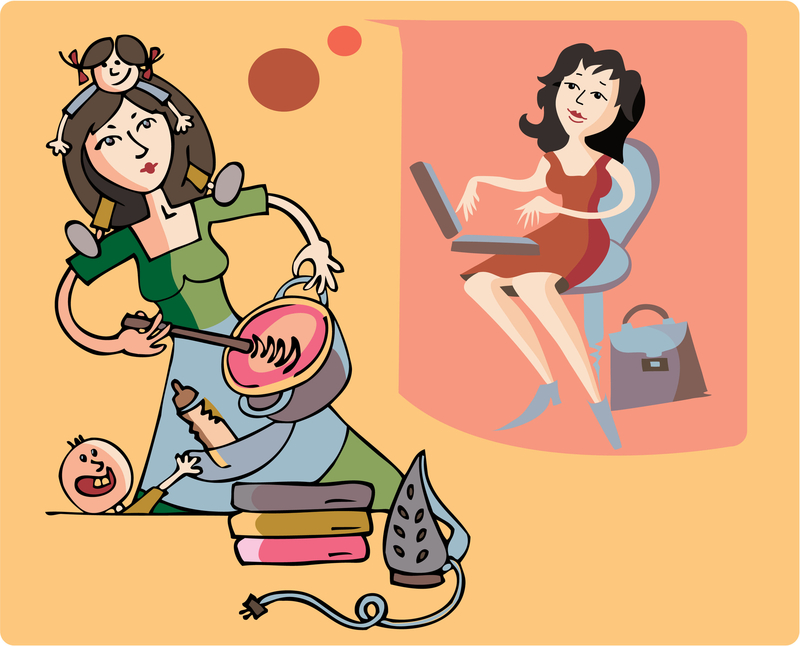 An inspiring ripple effect from the work with mums and mumpreneurs, is empowering them with the life skills and tools to be great role models for their children to mirror and learn from. Teaching them vital life skills in preparation to embrace adult life with unshakeable confidence and inner belief they too can achieve anything they want in their own life. Truly the best gift you can gift and empower your children with! Are you ready to live life to the full on your terms? Activate the belief you have exactly what you need to fulfil your business vision, whilst embracing networking and growth opportunities! Ultimately understanding everything you need to achieve all you want is already within you! Unshakeable Confidence And Self-Belief In Just 7 Steps! 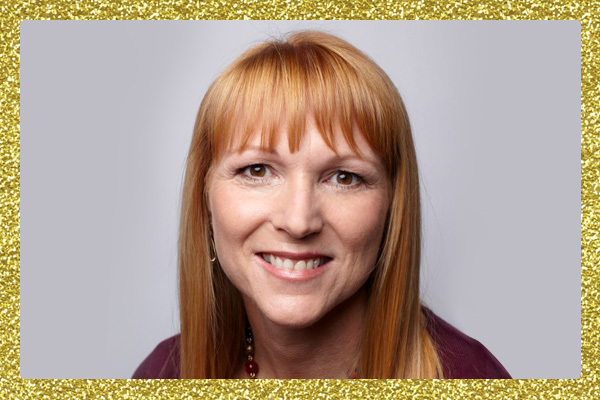 My name is Tracey Wall and I am on a mission to empower a million mums and mumpreneurs just like you with greater confidence, balance and clarity to activate your infinite capabilities within, to enjoy an easier, fulfilling and happier life. To awaken a vision of possibility, opportunity and choice within you. Enabling you to establish an essential self-care routine that fulfils your own needs, balance a successful business whilst still enjoying quality time with your children! Confidence is not a have or have not! We all want to perform at our best in our personal lives, with our families, socially and in our work and our business. In order for this to happen, we must believe in ourselves and truly be confident in our capabilities! But what exactly does that mean – to be truly confident? There is a wide range of perspectives on confidence and this rightly indicates how expansive this concept truly is! But I am sure you will agree that what you want is that deep rooted confidence, the kind that enables you to positively embrace all life’s opportunities, the kind that you can demonstrate to your children nurturing their ability to grow their own confidence through modelling you! Real confidence comes from within you and yes, you can learn it! I have, my clients have, their children have and you can too with my popular, proven and highly successful I.A.M.S.U.R.E. Confidence Builder Online Programme! The essential beliefs that you need to have to tap into your confidence, no matter what situation you encounter enabling you to overcome any of life's curveballs. Living 2018 as the best version of you yet, ready to crush your goals and achieve all you desire, the sky really is the limit. Instant access to the online coaching program available 24/7 – for life! Access to a private and exclusive online Facebook community for like-minded mums on a similar journey taking the programme, enabling you to support each other along the way. The I.A.M.S.U.R.E. Confidence Builder Online Programme 7 Steps! An easy to follow online programme that guides you step by step through its 7 Core Steps, enabling you to progress at your own pace and at a time convenient for you. This programme empowers your growth from low confidence, self-esteem and self-doubt to unshakeable confidence and self-belief no matter your start point! Learn how to wholeheartedly trust your own choices and decisions without seeking other’s opinions and advice – meaning quicker decisions that are right for you and your family saving you valuable time and energy! Ditch the guilt and understand how taking time out to nurture your own needs does NOT harm your children or your family – it ENHANCES them! Self-Care is paramount to being a happier, more fulfilled woman and therefore a great mum your children will love! Establish where you are now and why. Learn how to overcome the obstacles holding you back and impacting you, your children, your relationships, your work and your business. Embrace letting go and freeing yourself to embrace moving forward! Create the vision of your ideal life for you, your children, your relationships, your work and your business. What you want more of and what you want to eliminate. Identify why you truly want this vision to help the transition towards achieving success. Trust your number one key to success is raising awareness of your mindset, the habitual things you tell yourself on a daily basis that control how you feel and the decisions you make. Learn to use T.E.A.R’s to achieve change – not as bad as it sounds – I promise! With your new-found motivation and determination to achieve what you really want, focus your time and energy on what’s within your control. Embrace the courage to ‘feel the fear and do it anyway’, knowing everything you desire is on the other side of your fear! Learn how to proactively create the life and business you want whilst still enjoying quality time with your children and time out for you. Celebrate all that you are and all you do. Empower yourself to keep evolving day by day towards your ultimate vision and success! 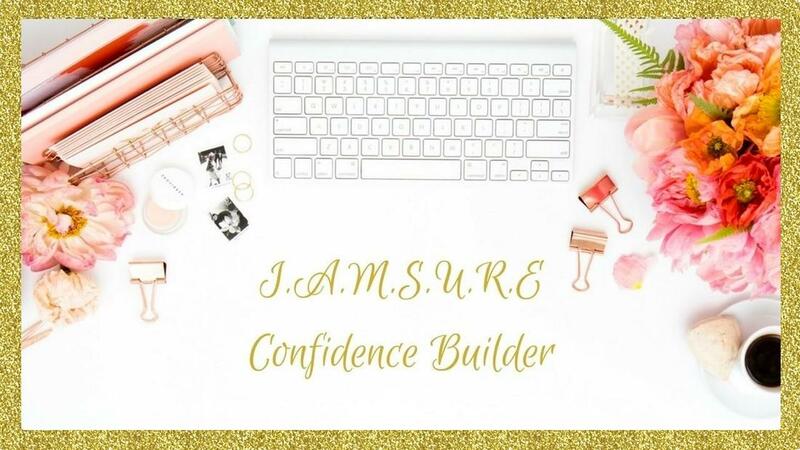 As well as unlimited lifetime access to the whole I.A.M.S.U.R.E Confidence Builder Online Programme, I also have the following fantastic bonuses for you! Your very own copy of the highly successful ‘Accept Yourself: Build Your Self-Esteem & Self-Confidence’ eBook with my compliments. The priceless tools and exercises within will support you to adopt life-changing techniques that enable you to truly accept yourself and improve your self-esteem and self-confidence, enabling you to start living the life you truly deserve. Retails within Empowering Mums Online Store at £12.95. Have you often found yourself wondering where your day has gone, with still so much left to do, believing there just aren’t enough hours in the day to get it all done? 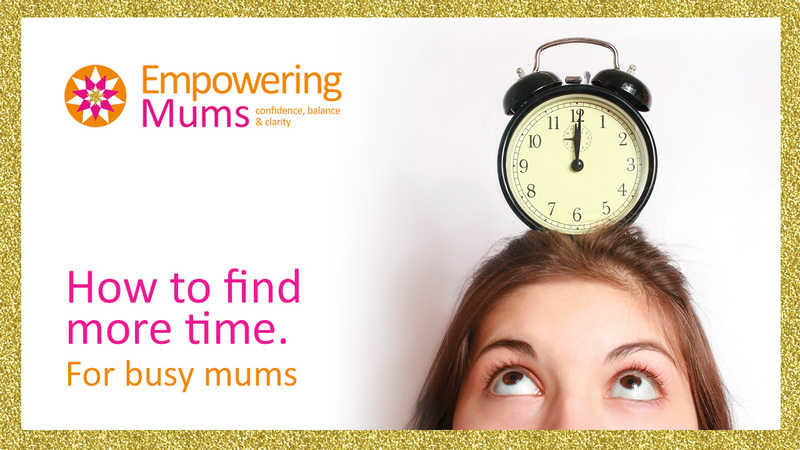 Well, to help you regain control of your life, find the time to enjoy your new confident lifestyle and time out for you, become more efficient at getting more done in less time and learn how to value your time through recognising your self-worth – this highly recommended and popular ‘How To Find More Time For Busy Mums’ eBook is your 2nd bonus with my compliments. 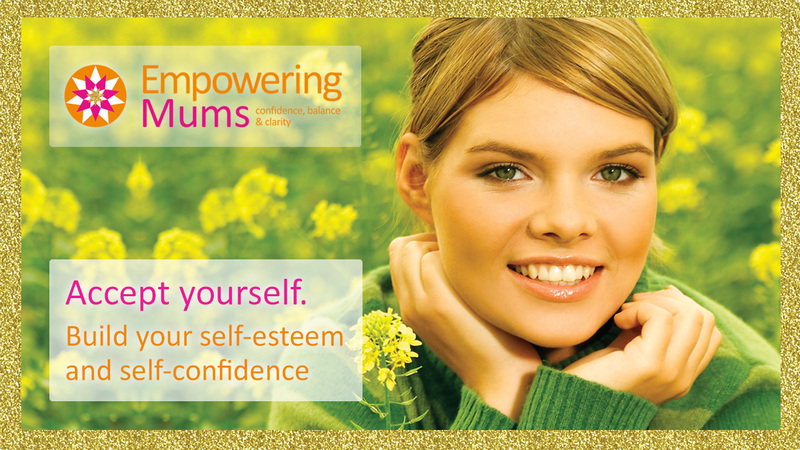 Retails within Empowering Mums Online Store at £22.95. I’m sure you’ll agree, two great additions to support your online programme to help you achieve greater confidence and self-belief to enjoy an easier, more fulfilling and happier life – for you, your children and in your business! Confidence or a lack of it has a huge impact on your life, your children, relationships, self-worth and overall happiness. But here’s the thing - real confidence comes from within. Just as everything you will ever need in life to achieve all that you want is already within you too! Over the last 9 years I have been sharing my skills, knowledge, expertise tools and passion for helping mums and mums in business to overcome the challenges they juggle often on a daily basis that leave them exhausted, stressed, overwhelmed, guilty, low in confidence and little self-belief, often isolated, unfulfilled and ultimately unhappy. I am on a mission to empower a million mums and mumpreneurs – just like you - with greater confidence, balance and clarity to activate your infinite capabilities within! Enabling you to enjoy an easier, happier life alongside running a highly successful business. Aligned with enjoying an essential self-care routine that fulfils your own needs and delight in quality time spent with your children being the mum you really want to be! What else can you buy for the daily price of your favourite coffee, which is so hugely beneficial and transformational for you, your children, your family and your business? 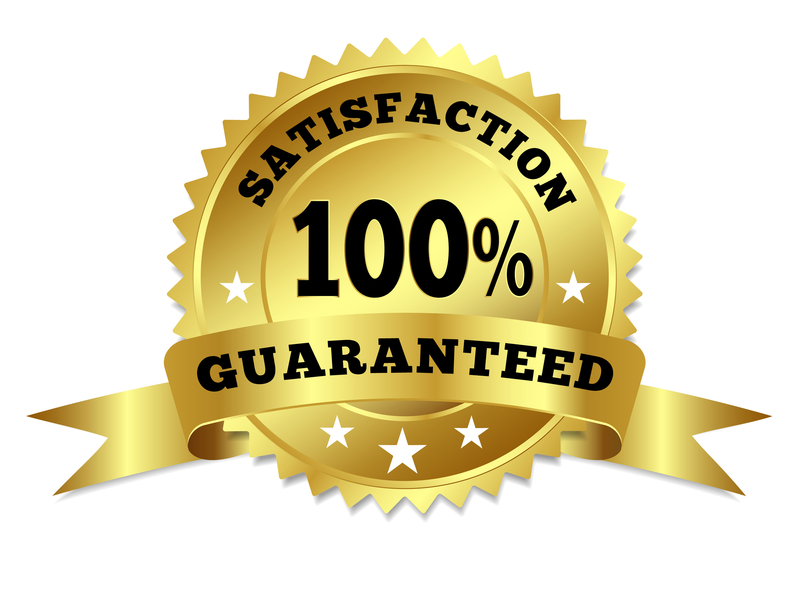 And… Don’t Forget My Full 30 Day 100% Money Back Guarantee! An amazing purchase offer of £247 using the code IAMSURE50 at checkout, to reward you for taking decisive action before 8pm on Thursday 8th February! 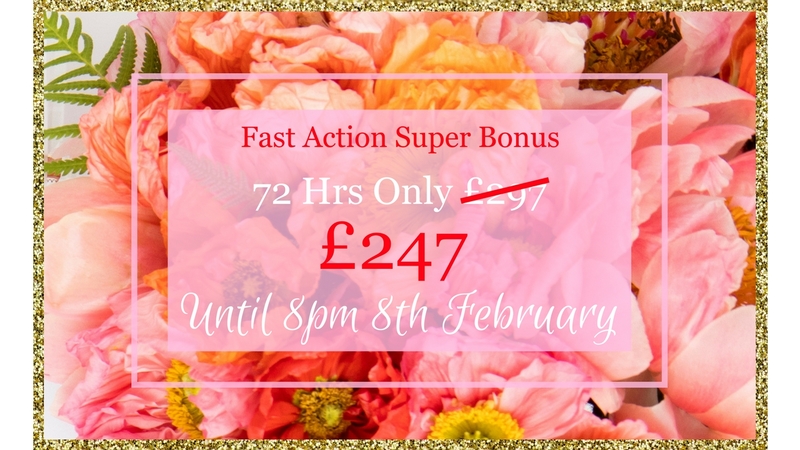 This fast action purchase offer is in addition to the 2 bonuses already offered above – so purchase before 8pm Thursday 8th February and you will receive all three amazing bonuses. The program has been created specifically to meet the needs of busy mums and mums in business whereby every aspect of the program is in bite sized chunks to enable you to progress whenever you have a free 20-30mins. There is purposely no timescale to the program, everyone is different so you work through it at your own pace to meet your own needs, embedding everything as you go along. As a guideline approximately 3-4 months. Do I need any technical skills with the program being online based? It is very similar to logging in to your email account and using your side menu bar to open up and read or reply to each email – it really is that simple! So absolutely you will be able to use it no matter how little your technical experience, trust me I am no ‘techy’ and I created it! What if I get stuck or I’m not sure what to do? Although this is a self-development online program for you to work through at your own pace, you will have unlimited access to a Private Online Community solely for mums sharing this program journey, enabling you to get your questions answered and receive additional support. What if I need 1:1 support to overcome a deeper challenge? There is an opportunity for you to upgrade your online experience to include 1:1 support to personalise and tailor your experience when needed as you work through the program. From time to time we all need that little bit of additional help to enable us to become aware of what we can’t see for ourselves that is holding us back and keeping us stuck. All details will be within your online program to gain the support to overcome such obstacles. If you want to be a mum and mum in business with unshakeable self-belief and confidence that will enable you to support and nurture a happy family, the tools to raise confident and happy children, the belief to embrace opportunities to create your ideal life and step up to grow your own successful business - then take action NOW! If you procrastinate, chances are self-doubt will creep in, reminding you of those limiting beliefs you hold that you don’t really have the power to change your life, or you feel you're not worth it and so you won’t take any different action. This time next year, you’ll still be in the same place, frustrated and unhappy wishing you had taken a chance on yourself and taken a leap. Is that what you really want, to slip back to the treadmill of your existing life with all its current challenges? Or, do you want to take action now that solves your challenges once and for all and enables you to achieve the life you really want and deserve? I believe you want to and can make a positive difference, why else would you have made it so far down this page! So, don’t click away, make a decision to live with intention, not regret! Trust your intuition for once and reap the immense potential and support offered by the I.A.M.S.U.R.E. Confidence Builder Online Programme now by clicking the big orange Purchase Buttons! Remember if you sign up before 8pm Thursday 8th February you will benefit from the 2 Bonus eBooks free – retailing today at £35.90 PLUS the Fast Action Super Bonus – saving you £50 on your online programme! DON'T DELAY - DOORS CLOSE MIDNIGHT SUN 25TH FEB, UNTIL THE AUTUMN. Let me tell you, there’s never a perfect time, there will always be life’s curveballs getting in the way, you have to embrace the opportunity and make the time. It boils down to one thing, you choosing to prioritise yourself high enough! You need to prioritise your time NOW to make this YOUR time to enable you to achieve your easier, happier life, because you are worth it! Step 1: Make your payment using the Orange Purchase Buttons – located throughout this page - this will take you through to the checkout page. Remember to insert your coupon code IAMSURE50 if you qualify for the Fast Action Super Bonus before 8pm on Thursday 8th February. Step 2: Check your emails (including spam inbox if you have not previously registered our email address in your email contacts). You will automatically receive a Thank You & Congratulations email providing you a warm welcome to the programme and outlining your next action steps. Step 3: You will then receive a further email providing a 'Login Button' to access your online programme, using your login details created at checkout. When you login you will see your online program along with your bonuses. You can then follow your joining instructions. Wishing you confidence, balance and clarity for an easier, happier life! An easy to follow online programme that guides you step by step through its 7 Step Modules, enabling you to progress at your own pace and at a time convenient for you. This programme empowers your growth from low self-esteem and self-doubt to unshakeable confidence and self-belief no matter your start point!